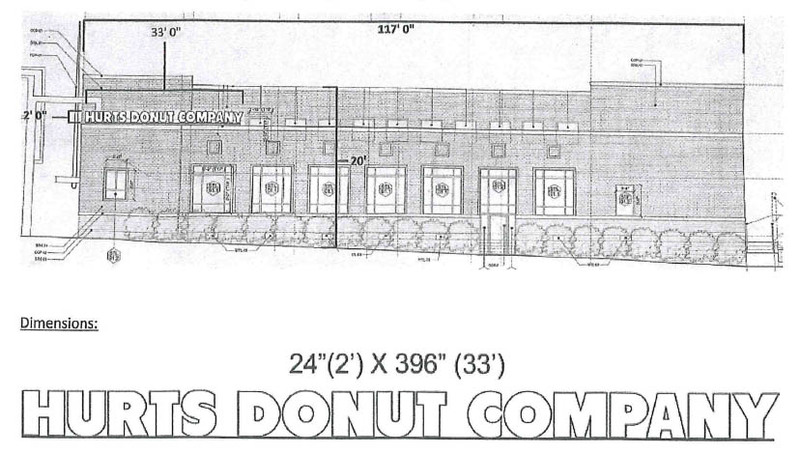 Building and sign permits have been filed for a new Hurts DonutCompany in the former Citizen Bank building at 601 NW 23rd. Hurts will take 3,829 square feet, or roughly the eastern end of the the first floor of the buidling, which also has a basement and second level. 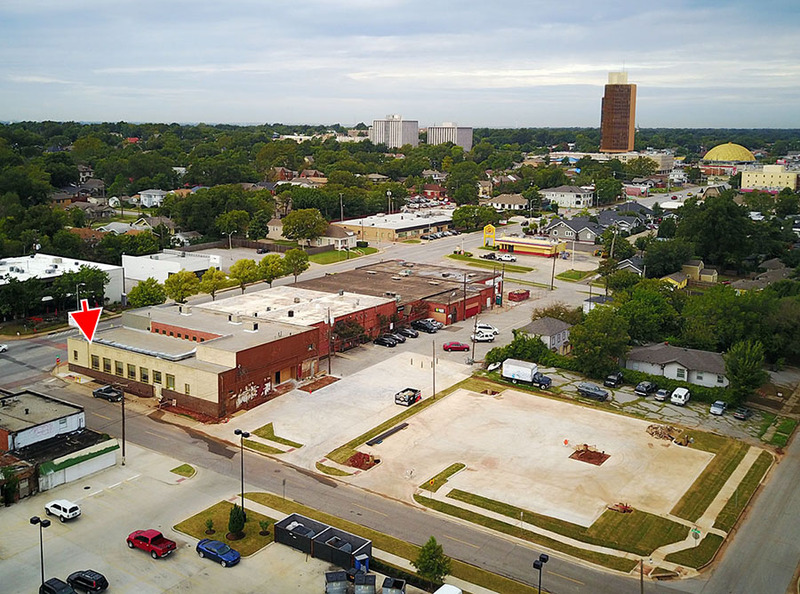 Hurts has a location on Campus Corner in Norman as well as downtown Tulsa. The company website shows 15 locations in Oklahoma, Texas, Arkansas, Iowa, Kansas, Wisconsin and Missouri. 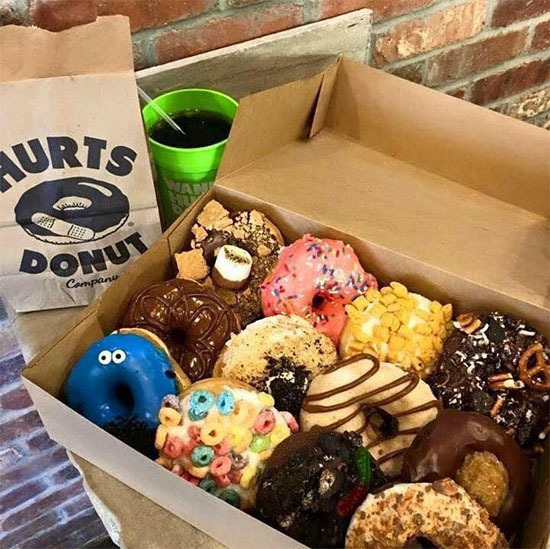 Founded in Springfield, Missouri in 2013 each Hurts location is open 24/7 and specializes in handmade doughnuts topped with ingredients such as breakfast cereal, candy and cookie dough. 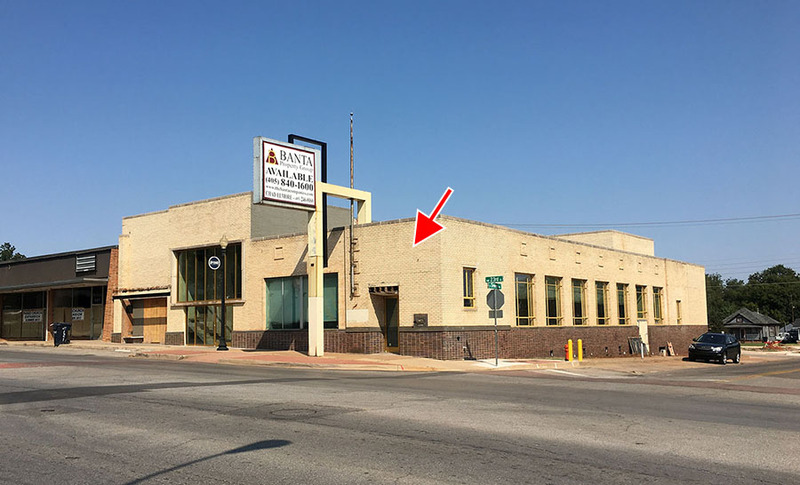 The store in Uptown will be particularly large with lots of table and counter seating, a beverage bar, a decorating station and office space for catering sales. 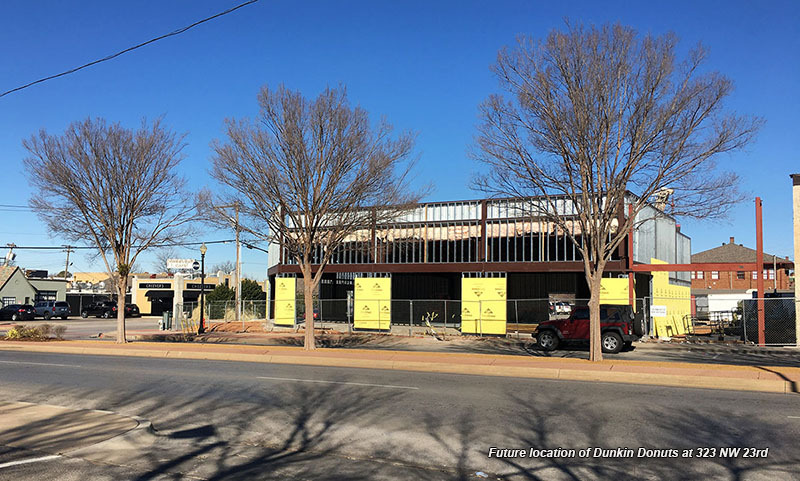 When it opens later this year, Hurts will join Dunkin Donuts which will occupy a building with a drive-thru, currently under construction at 323 NW 23rd, directly east of Cheever's Cafe. That development will also host a Baskin Robbins. 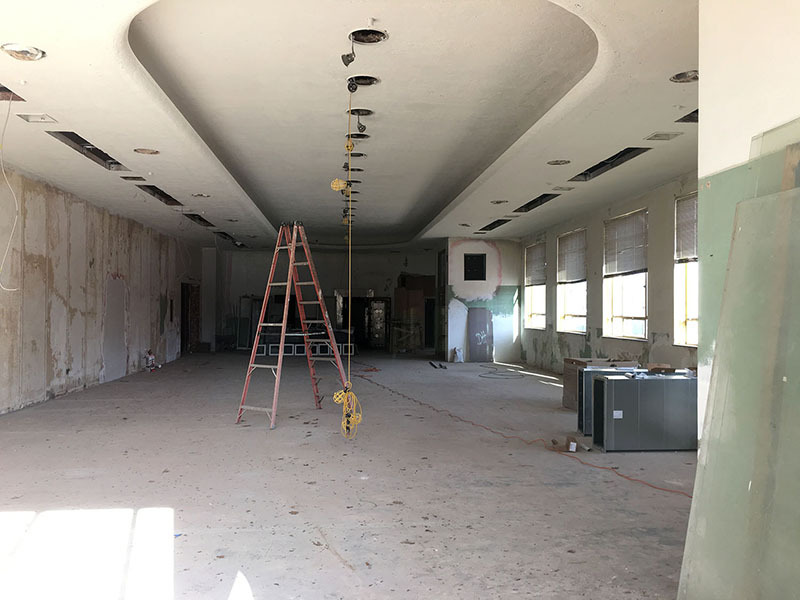 The old Citizen's Bank building – which still contains the old vault in what will be the Hurts space – has been under complete renovation for well over a year. As part of the construction, the large parking lot to the rear has been completely rebuilt.